When you decide on your kitchen island design, remember that just as the kitchen is the centre of your home, the kitchen island you will eventually install, is going to form the centre of your kitchen, and therefore your home, and therefore your universe (sorry, could not resist that). Well, for many of us the kitchen is the centre of our universe. That is why it is so important to take your time to plan and really think about which kitchen island design concepts will work for you in your kitchen. 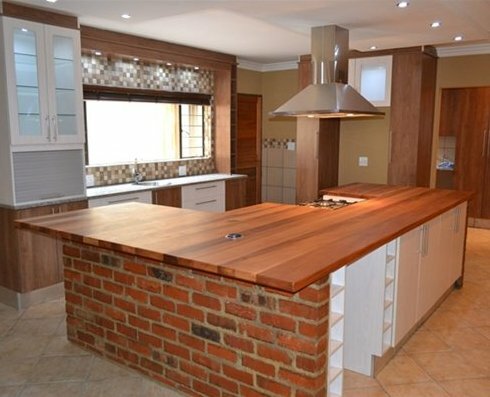 This will not only contribute such a lot to how your kitchen functions, but it will add tremendous value to your home; a well thought out and practical kitchen is one of the most sought after features in a home when prospective buyers start looking. Remember, that is always the ultimate goal when you do any home improvements – to add real value to your home. When I visited my grandparents in the Karoo when I was a child, the old, big yellow wood farm table in the middle of the kitchen was the centre of Nonna's (Nonna was my grand mother) universe. This was where everything in that home happened. This was where I spoke my first words and this was where all the decisions concerning the family were made. I truly believe that kitchen islands should perform the same function in the kitchen of today. Just a lot more sophisticated of course. That is probably why the kitchen island is such a popular inclusion in all the kitchen designs nowadays. It offers endless design possibilities with a huge amount of choices in style and materials. When you do your kitchen island design, plan it so that it adds to the convenience and efficiency of the kitchen. 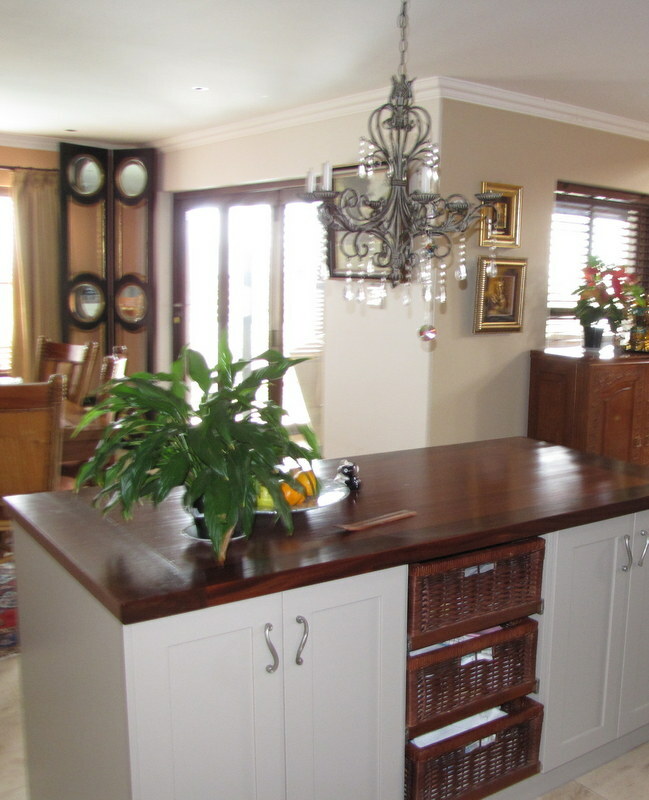 The purpose of the kitchen island is to optimise the available space. Many kitchens have everything pushed up against the walls, with a lot of space in the centre of the room. The kitchen island make use of this space. Not only that; it also creates space above the island. This space was not available before, as people used to walk through that area. Friends of mine hung a beautiful old oregon pine wooden structure above their island with all their useful utensils hanging from it. This not only created additional hanging space, but also gives their kitchen that unique feel they so love. a Dishwasher, or anything else that you may find handy there. So it is important to define the purpose of your island before you finalise the design. These things make your kitchen island unique and helps to make the food preparation and cleanup a lot more convenient. It not only helps to use the available space to the optimum; it even adds more space. A kitchen can quickly seem cluttered if not designed well and if all the space is not used efficiently. If placed in the right position in your kitchen, and fitted with the stove or sink, you can even achieve the triangle design of sink to stove to refrigerator which is still one of the best kitchen concept design ideas. Or it can bridge the gap and acts as additional prep area. One thing to consider during the kitchen island design, is that if you are going to install appliances or a sink in the island, then they will require the accompanying plumbing, wiring or ducting. This can only be installed in a fitted island and therefore it is important to place the island exactly right at this stage. These things are only moved at great cost and inconvenience later if you did not plan correctly. The island can also have several levels, depending on the functionality you require. A raised level above the counter is especially convenient to lessen the clutter on the counter top, with the additional function of hiding some of the kitchen mess from the living area. Another very convenient perk this adds to the kitchen island, is that it provides space for electrical points and switches close to the work area. One always needs to whisk or cut or process something and for that you need electrical points. If you are fitting a complete new kitchen, then it is a good idea to design the complete kitchen together so that the island will have the same design as the rest of the kitchen. But if you are adding the island to an existing kitchen, I will suggest that you use a unique kitchen island design idea. This way it can look much more authentic and you may even want to create the effect of “this was added later on”. It may also be that this is phase one of a new kitchen installation and then you may want to design it so that when the rest of the kitchen is fitted, it will fit in with your island of now. There is truly an amazing amount of fun that can go into the planning of your kitchen island design. Chose the island design style that you like, and that will add real value to your home.